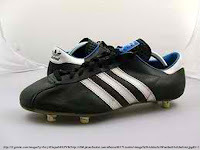 The Brits refer to them as football boots. 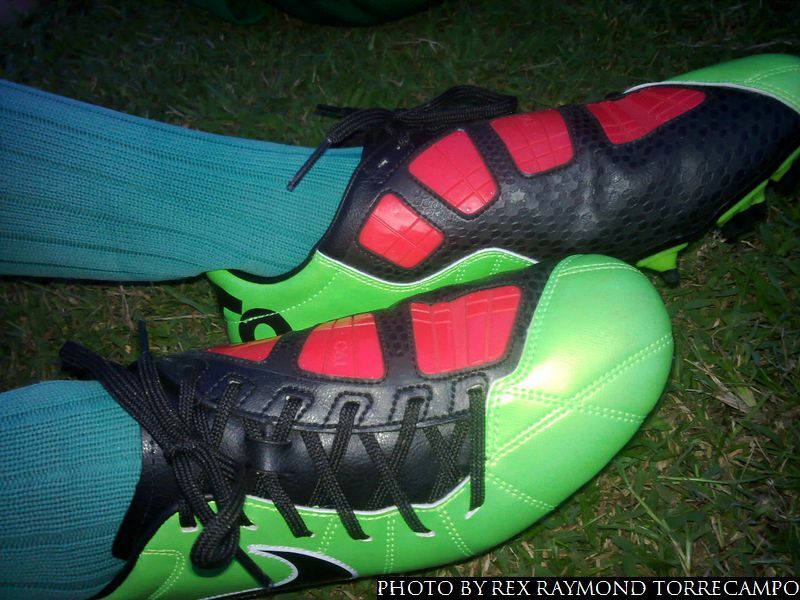 Those pointed things under the boots that help give the player traction, these are called more like cleats or studs. This being the Philippines, there are those who do occasionally refer to them as spiked shoes – and we football players instinctively know that these are the sort who probably cannot tell a football from a beach ball. 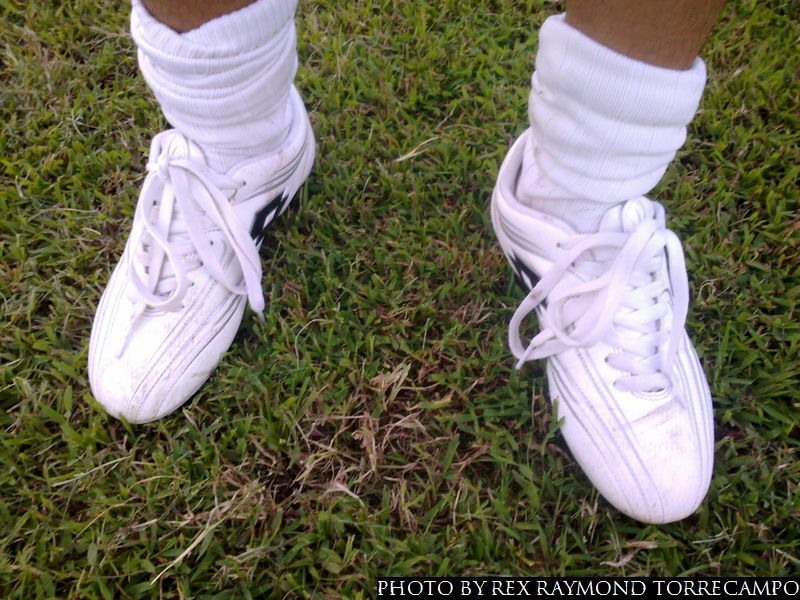 I have been in football for the longest time; and all this time, I and all I have played with just called these shoes “spikes.” The term spikes, I suppose, refers to the studs that grip the ground and prevent the player from slipping all over the grass. When I started playing football back when I was in Grade 5, I wore those ankle-high Converse shoes more suitable for basketball. In time, I did learn that football players were supposed to wear those black shoes that had studs underneath them. 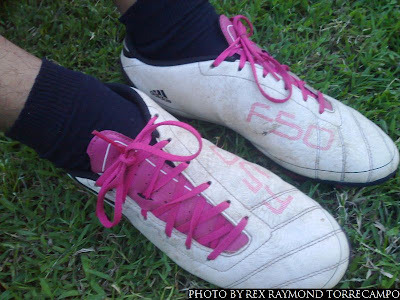 Because there were so few students in school who were into football, those who did and had spikes were sikat on campus. I was a sophomore when I got my first pair. I had to pout for a couple of months – exazh alert! – before I finally persuaded my Mom to buy this for me. 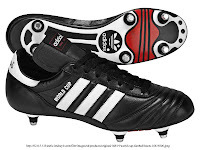 To this day, I can still recall that it was an 18-studded Adidas La Plata, made of excellent leather that enabled me to use the pair for more than three years. It cost my Mom no more than 79 pesos, tax free since it was purchased from the office of the now-defunct Philippine Football Association at the Rizal Memorial Stadium. To this day, I have a soft spot for Adidas. The classic three stripes against black leather, its simplicity is so me! You have to understand the era that I am coming from. Whatever its brand or design, a pair of spikes just had to be black. White was for sneakers; and anything with color, well, nobody had thought of color since the idea was ridiculous! Then the marketing people simply took over. 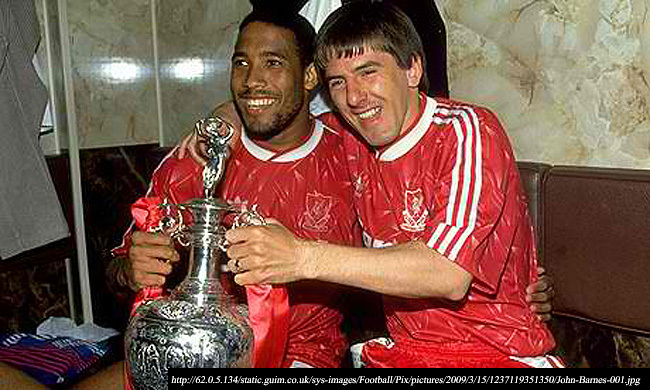 In the late eighties, Liverpool FC was at the height of its powers in club football. The club added to its already formidable lineup a Caribbean-born left-sided England winger by the name of John Barnes, the first colored player in Liverpool’s ranks. Barnes was generally regarded as an artist on the football field. Apparently, he also had an artist’s temperament for self-expression. The next decade, of course, the alternatively-colored boots – to my chagrin – started becoming more popular. 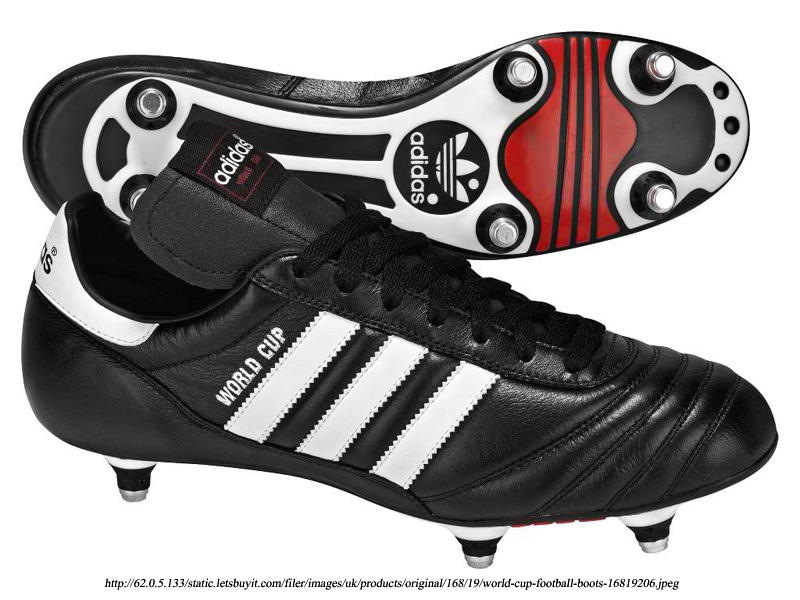 I particularly hated the white ones, especially when these were worn by international players on the lush green fields of World Cup stadia. It was like watching tennis players with long socks. This being the Philippines, of course, the stocks that were available to us were of the sort that African wildebeest would not dream of wearing. While sleek designs were already available to players in football-playing countries, we had to make do with the ubiquitous Adidas Inter I and Inter II – which my players called the Inter aye and the Inter aye-aye – which gave us countless blisters before they became comfortable. There really weren’t a lot of choices in the market. By the late nineties, the alternatively-colored spikes were beginning to appear in the country. One of my players purchased a shiny apple-green colored pair and I thought they were prettier than Cinderella’s lost slipper. This is called sarcasm. By the turn of the millennium, of course, non-black spikes had become the rule rather than the exceptions. Even I started wearing white ones because these were the reasonably priced designs in the market. 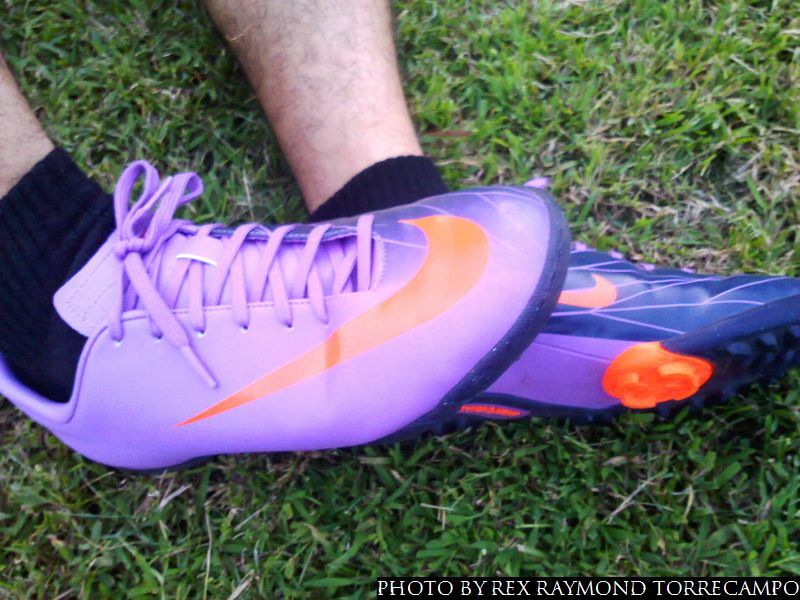 When I come to think about it, I do not cringe anymore at the sight of colored football boots. It was always just a matter of getting used to seeing them. Purple? You have gotta be kidding me!